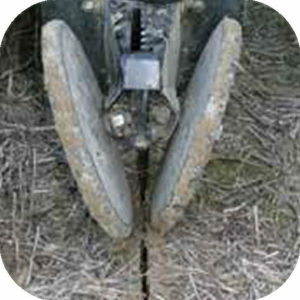 Closing the seed furrow is the final step in properly planted seed. The closing system needs to firm the soil around the seed and close the top of the trench. Essentially, we are asking one system to do those two functions and it can be a challenge to accomplish both effectively. Leaving an air pocket around the seed will make us susceptible to un-even emergence which will cause loss in yield potential. With that in mind, set your closing system to consistently firm the soil around the seed and then tweak your settings to close the top of the trench. This can get challenging and may require looking at different closing wheel combinations or options. Conditions change rapidly as we work through the planting window each season. 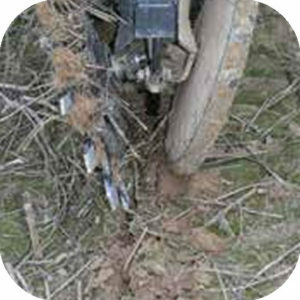 On our farm operation, we have different closing wheel options in stock. This allows us to be prepared to switch to the closing system that best suits the current scenario. 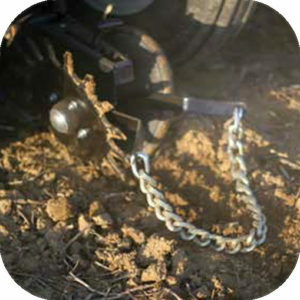 One thing that you may consider is installing drag chains behind your closing system. A drag chain will funnel loose soil to the seed furrow and the soil will fill those areas that weren’t completely sealed by the closing wheels.